Yoga has become an incredibly popular form of exercise around the world. It's rare to come across a gym that doesn't offer at least some form of yoga. Its rapid growth from its roots as a spiritual pursuit to a worldwide phenomenon has been amazing to watch. The mat-based pursuit has helped to grow the popularity of Pilates too, due to their apparent similarities. But they're not the same thing. In some gyms, the terms yoga and Pilates seem to have become almost interchangeable. However, in fact, there are many important differences between the two. Let's explore these activities in more detail. We'll help you understand which one of the pair could be the best option for you. Despite appearances, yoga and Pilates come from two very different roots. Let's run through a brief history of each to learn more. Yoga was developed in South Asia, and although it predates modern India, this is the country most associated with the pursuit. Practitioners will experience physical and mental health improvements, as yoga focuses on clarity of mind as well as the physical exercise. However, to devotees, these are just fringe benefits of the process. A person who “experiences the oneness of existence is said to be in yoga," so there's a deep spiritual meaning to the word too. Some believe that the practice of yoga can drive the correct 'energies' around the body. This aids the spiritual well being of a person. Pilates was invented by Joseph Pilates, who was born in the late 1800s. He developed a system of exercises to overcome a variety of ailments he suffered as a young man, including rickets. His muscle-building whole-body workout was crucial in dealing with these issues. His system was originally known as 'Contrology', and he and his wife taught the method to others during the mid-1900s. It was only after Pilates' death that the exercise regime was renamed after him. Today, many gyms offer both yoga and Pilates workouts. Some instructors teach both activities, due to the similar characteristics of the two. With the use of mats, stretching, and a focus on core body strength, it's easy to spot the similarities. However, because of the overlap, it's not always clear to outsiders what the differences and benefits of each are. A yoga workout is not exactly a calorie-burner compared with other aerobic exercises. Pilates will shift more calories than yoga. Then again, neither yoga nor Pilates makes churning through calories the focus of the workout anyway. Yoga and Pilates are both about strength and flexibility. 'Yoga' is a wide category, and can include everything from very gentle stretching classes to quite intense low-impact workouts. There are several common types of yoga taught in gyms. They have a number of names which you shouldn't be surprised to come across, such 'Bikram' and 'Ashtanga'. The names relate to the poses practiced in the traditional forms of yoga. A Bikram session, for example, runs for 90 minutes and follows a sequence of 26 poses. It's the same session each time, and the session takes place in a room heated to 104 Fahrenheit – though researchers are dubious that the heat adds much to the existing benefits. Some gyms will simply call the class 'flow' – or something similar. These classes break free of the traditional constraints, meaning that the instructor will work out a variety of poses and movements for the session which won't necessarily follow a set pattern each time. With this in mind, it's easy to see why comparing yoga and Pilates isn't an altogether simple task. Some yoga classes will be very gentle, focusing on holding poses and breathing exercises. These are suitable for beginners and people recovering from injury. They're also often popular with pregnant women who want to stay active without over-exerting themselves. If this sounds suitable for you, keep your eyes peeled for gyms practicing the 'Hatha' and 'Restorative' styles of yoga. Other yoga classes will be high intensity. You'll follow a series of dynamic stretches into hard-to-reach poses which are constantly changing and shifting. They may also involve chanting or shouting as part of the workout! 'Vinyasa' and 'Kundalini' yoga are good examples of this type of workout. 'Flow' classes tend to have a focus on building up a higher intensity too. There is some overlap between the aims of yoga and Pilates, but if you take a session of each, you'll easily spot the differences in styles and form. Also, Pilates doesn't have a spiritual focus like yoga does. It's grounded solely in a desire to improve physical health, so don't expect chanting or meditation as part of the class. Pilates does, though, focus on building strength in a balanced way. That means not neglecting any part of your body, promoting better strength through your core, trunk, back, neck, and limbs. It also encourages you to be mindful of your body, and your control over it. Again, there are similarities between yoga and Pilates in these. Precision, control, and breath are three key elements of yoga workouts too. But a Pilates workout helps you to focus on your body, in a series of very precise movements. That doesn't mean a number of 'set' poses though. It means taking control of your body and being aware of the exact pose you're creating. In fact, Joseph Pilates' original set of exercises have been developed and improved on by his apprentices and their successors. This is another key difference between yoga and Pilates. Pilates exercises have developed over the years to be superior to the originals. The changes have been informed by a better understanding of the body which has developed in modern times. Yoga practitioners are more concerned with offering the 'genuine' exercise regime, rather than making improvements. Breathing in Pilates is all about 'in through the nose, out through the mouth' – whereas in yoga breathing exercises may include constriction of the throat and breathing in various patterns. Another similarity between yoga and Pilates is their nature of being a low impact physical activity, meaning that there's less sudden stress forced on the muscles. You'll be helped to create a variety of poses with your body. All of these are focused on building muscle evenly throughout the body, rather than just stretching for the sake of stretching. Though there is an element of building flexibility to every Pilates workout, that's not the key aim. It's all about building that strength. By strengthening your muscles, Pilates can help to reduce lower back pain. A more intense Pilates workout can help to control weight and build muscle. So it has a variety of applications, which different people find useful for them at different times. A lot of Pilates classes will take place on mats, but it may also involve the use of specialist equipment. A key difference between yoga and Pilates is the use of equipment. Yoga – or at least traditional yoga – tends to shy away from using equipment. It's all about you and your body. And a mat. The problem with this is that it overlooks a lot of opportunities for a better workout. The equipment might have some odd names, but each is a crucial tool in the Pilates kit. The reformer looks a little like a tiny bed frame. A 'carriage' is pushed and pulled along rails at the edges of the frame. The exact action differs depending on the aims of the workout. The reformer allows you to work out your legs and arms at the same time, while also requiring a lot of support from the core muscles. This means it's a balanced exercise. The Cadillac is a form of trapeze, which stands on a table. Don't be intimidated – it's easier than it sounds (you're strapped in) and it's quite fun too. However, it's not just about having a laugh. Some exercises take place on the table. You might use the frame and trapeze to support the legs, for example. Some exercises take place while suspended in mid-air, allowing a freedom of movement unattainable on the floor. So you can take part in a very special workout which is unlike anything you've done before! Despite its somewhat strange name, the stability chair is another useful piece of equipment. The multi-level chair can be used as an aid to create various positions, to add resistance, and to support the body as part of a workout. Some people find it a little difficult to keep their balance while on top of the chair. But focusing on keeping balance actually helps to develop your core muscles too. Many people practice yoga and feel its benefits – and so do Pilates followers. But the differences between yoga and Pilates make the two more suitable for different people. What's great about Pilates is that it has more flexibility than yoga. That's flexibility in terms of the class, not your body! Most yoga teachers feel the need to stick to the traditional poses and sequences. While there are a set of common 'poses' in Pilates that instructors often turn to, it's a far more customizable workout. Beginners tend to find, when experimenting with yoga and Pilates, that they find Pilates easier. That's largely because of the customizable element. Constant improvement will be encouraged during a Pilates class. But it's more important that everyone finds their own limits first. They can then start working through these. Pilates is also beneficial for people who have existing medical conditions which make it harder for them to stretch their muscles. Yoga encourages everybody to fit their body to a series of set positions, which can be hard to attain for beginners and people with physical restrictions. If you're already fit and flexible, you'll probably be fine. However, in some cases, yoga might encourage overstretching and result in injury. While this isn't the intent of the instructor, it can happen. A Pilates class is more of a tailored experience, which can be tweaked to your needs. 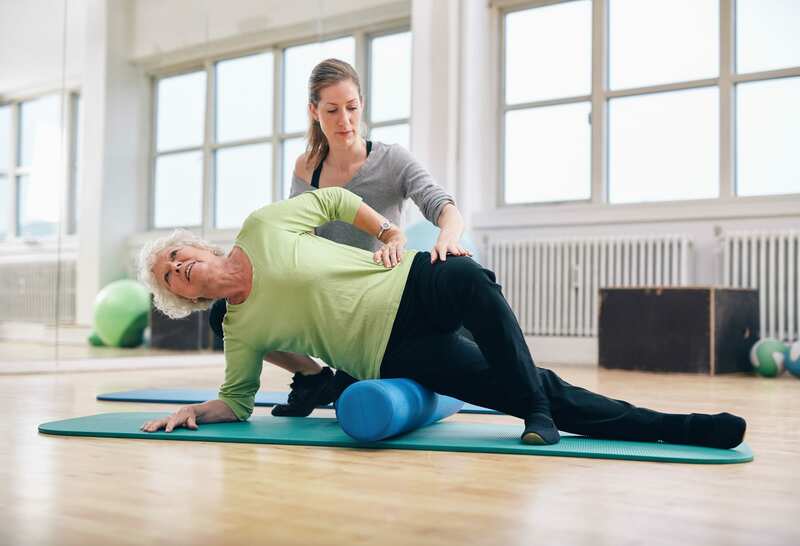 You wouldn't want to go through a high-intensity yoga session with an injury, but a Pilates session can actually help to support you through your injury and aid in recovery. In short, you won't be asked to do anything you can't do during a Pilates class. It's all about you. If you're unsure which to pick between yoga and Pilates, we'd encourage you to try Pilates first. We feel that it's best for beginners, and believe that people already practicing yoga can benefit from the strength-building focus of Pilates. In any case, you can later choose to do both yoga and Pilates, so there's no harm starting here! Pilatique Pilates Studio focuses on providing classes for everyone. We also provide access to specialist Pilates equipment at an affordable cost. You don't have to be a master to enjoy the benefits of our tailored Pilates courses. We customize our programs towards your physical goals, not ours. Maybe you're a serious athlete looking to improve core strength and agility, or trying to recover from injury. Maybe you're an expectant mother looking for a suitable workout to help you adjust to the changes in your body. Whatever level of fitness and ability you're at, we'll help you find a suitable Pilates workout. WhatsApp us on +65 9820 2686 to find out about our scheduling.